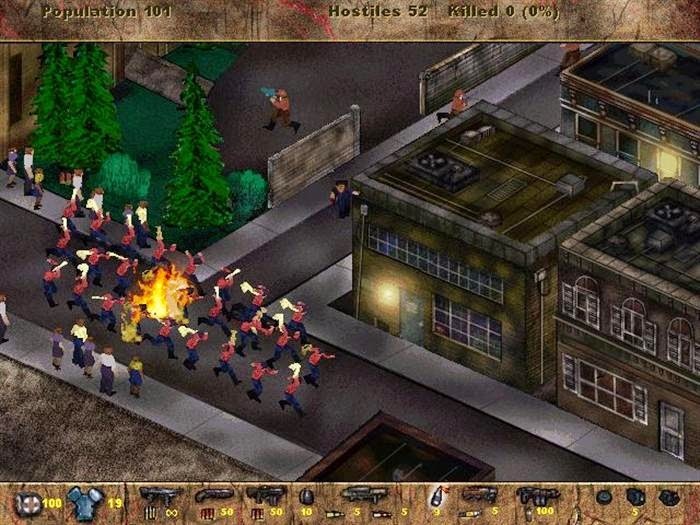 Postal is quite a notorious game due to levels of violence you can inflict upon unarmed civilians but that was back in the 90's where it was often time for Klax. Having played through the game tonight would I also find it utterly reprehensible? 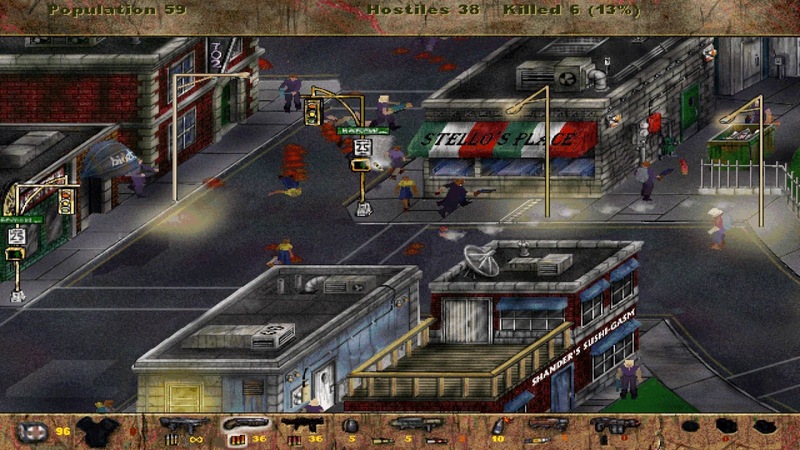 You play as Postal Dude; a trench coat wearing man who has gone postal and is on a killing spree. It is implied that your character has been evicted from his house prompting his psychotic episode but the story is quite vague. 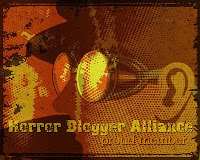 Believing there is a plot against you, you head out to confront the authorities. 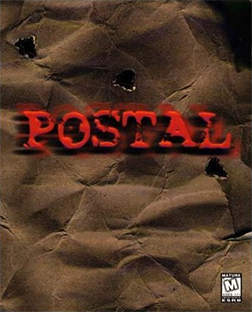 Postal is an isometric 3d shooter, and sometimes almost overhead in perspective. Each level gives you a percentage of hostiles you must kill to move on to the next level, usually ranging between 80-90%. There are police, soldiers and other enemies all armed with anything from pistols up to rocket launchers dotted around the twenty or so smallish maps. The levels are also populated by civilians who for the most part if they die it is collateral damage though Postal does seem to encourage you killing them on occasion. For example one stage starts with a marching band appearing, just too tempting to resist! There is not much variety to the game at all and there seems some weird difficulty spikes with some levels being quick and easy while others requiring more thought. The lack of story was a bit of a shame, apart from diary extracts between levels and a suitably grim ending there is no real explanation for what you are doing. Levels range from suburbs to military bases, cities and scrapyards and have a nice hand drawn style to them. The controls are fiddly and take a while to get to grips with, while once you have reached the objective percentage of kills it is up to you to press F1 to exit the level rather than it happen automatically which was strange. Nowadays this doesn't feel controversial, going on a killing spree has happened in lots of games and is done far better, Grand Theft Auto being a great example. While I played through the entire game in one sitting I wouldn't say I was enthralled, more it felt like doing a crossword or a jigsaw puzzle; just something to while away the hours on a cold and windy night. Tasteless at times but it can never be taken seriously as it tries to be darkly comic (the shopping mall level opens with Postal Dude saying something like "What? They don't sell Postal here?") and people you put down often crawl around begging to be put out of their misery which you can actually do via the execution button (X of course). An average game, can't imagine I will ever play it again but it did keep me occupied for a while.